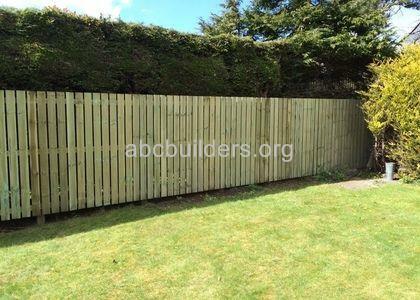 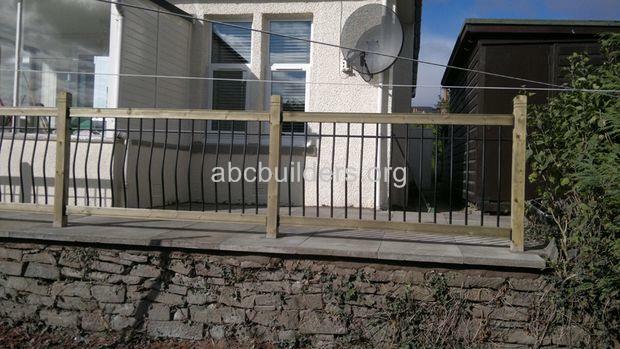 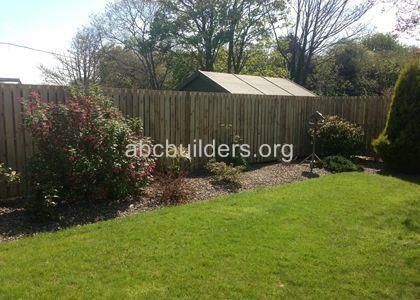 Railed Wooden Fence (before and after pictures). 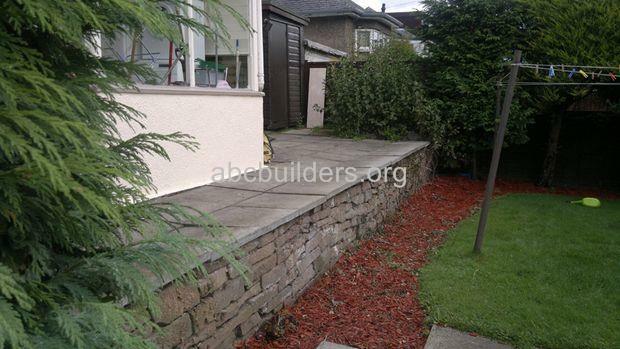 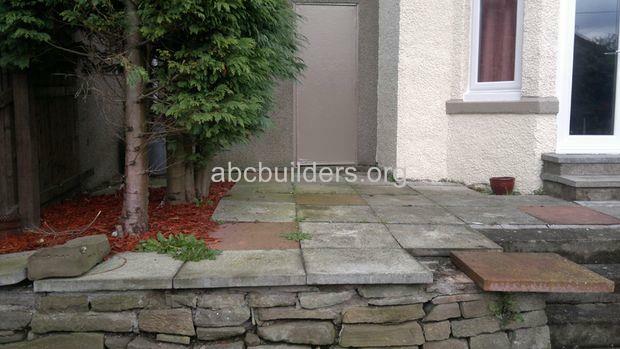 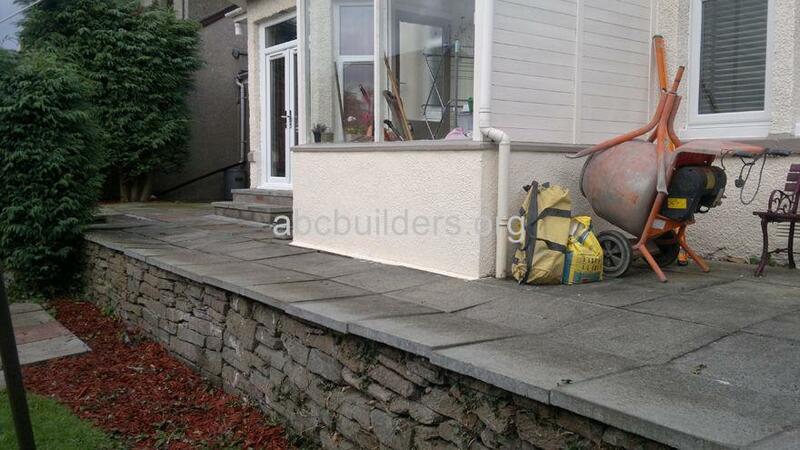 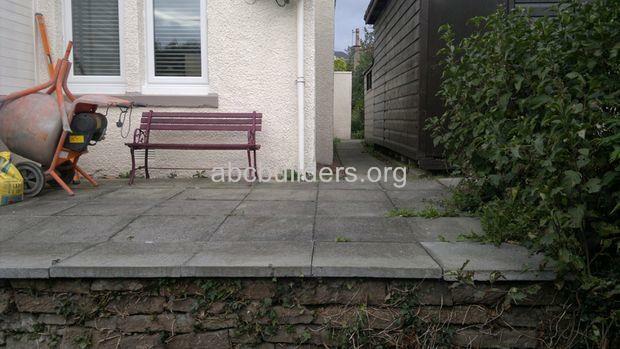 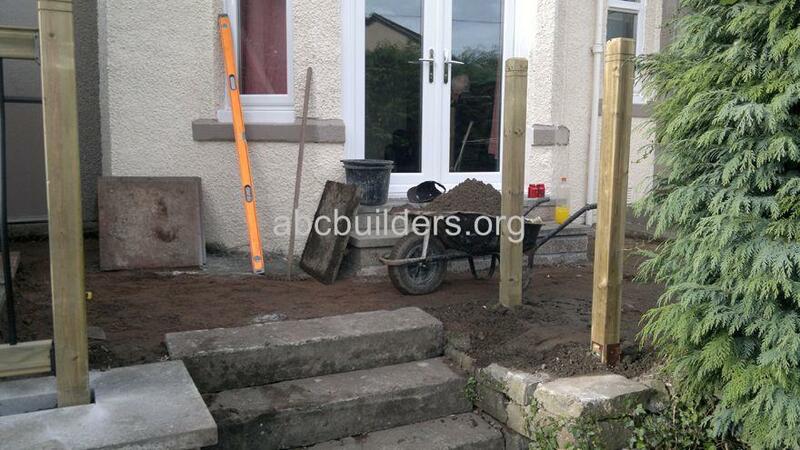 The job was originally a raised concrete slab path with a drop to the lower garden. The original slabs were taken up leveled and re-instated. 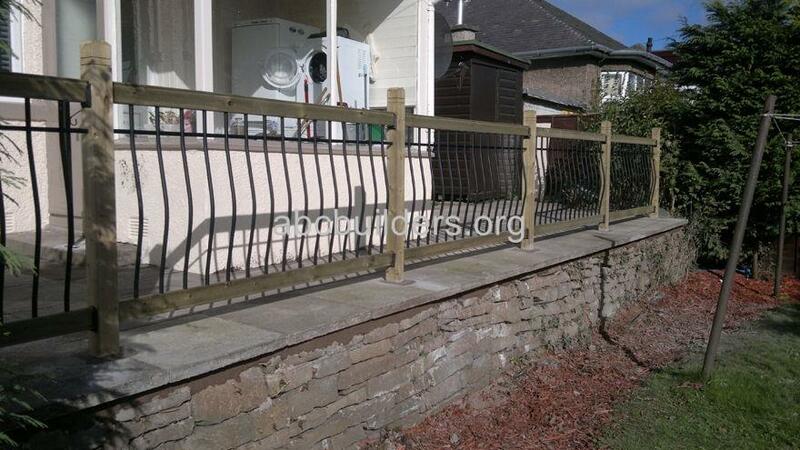 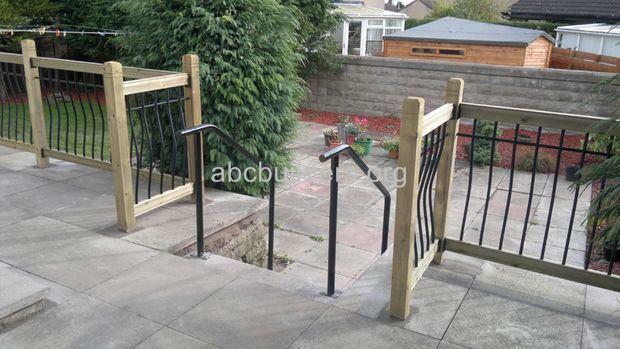 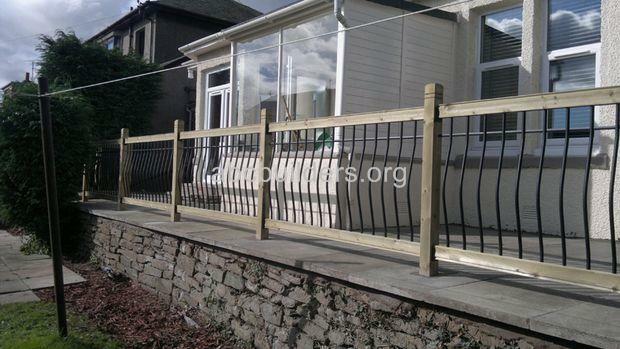 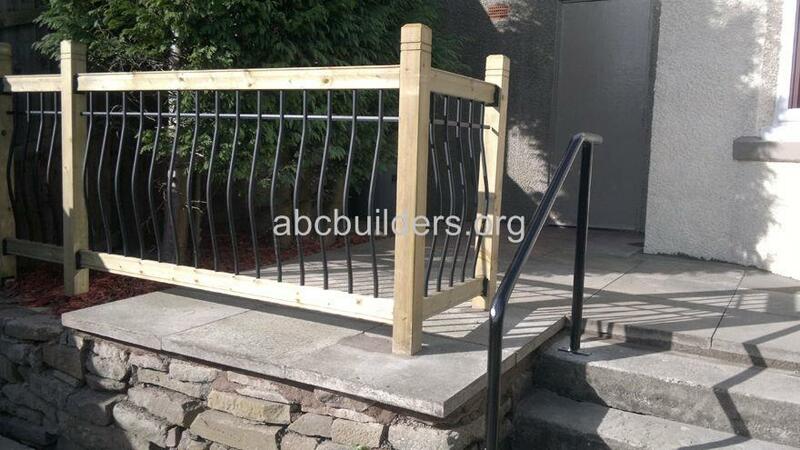 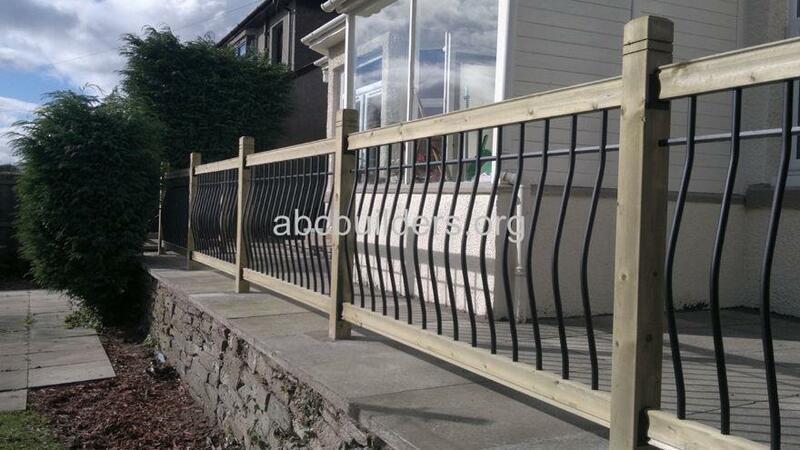 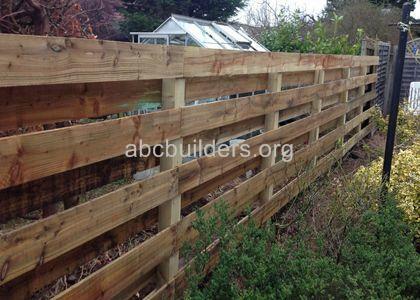 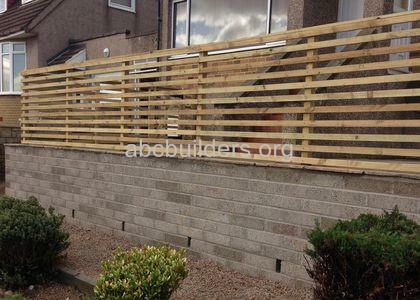 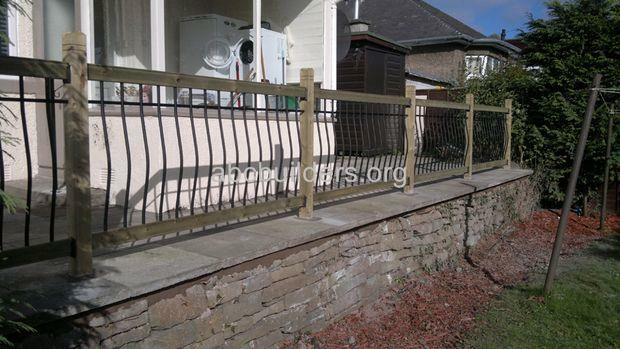 The railed wooden fence was then built and a handrail was installed at the stepped area.